This vocabulary record book is the first in a series of Exam Record books for Cambridge ESOL Upper & Lower Main Suite Exams. 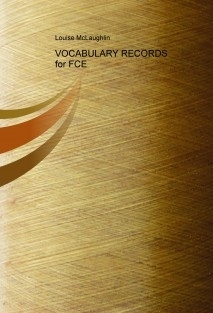 VOCABULARY RECORDS for FCE is designed to aid FCE (First Certificate in English) candidates in developing their lexical knowledge. This lexical knowledge extends beyond a simple vocabulary bank, focusing on the development of the skills and resources needed to successfully complete all five papers of the Cambridge First Certificate in English Exam.